Bhaktapur is one of the famous places to visit in Nepal. Bhaktapur is not only known as Bhadgaon but also “the City of Devotees” in the past. But now Bhaktapur is known as not the only museum of medieval art and architecture. There is medieval art with many fine examples of sculpture, woodcarving and colossal pagoda temples consecrated to different gods and goddesses. Visitors to this ancient town are treated with myriad wonders of cultural and artistic achievements. Although Bhaktapur is in Kathmandu Valley, It lies 15 km. to the east of Kathmandu city. Bhaktapur is 1,402 meters above sea level. Lalitpur is one of the famous places to visit in Nepal. The ancient name of Lalitpur is Patan. The meaning of Lalitpur is a city of beauty. It is indeed a city of beauty and grace. The best attraction of Lalitpur is Durbar Square complex, situated right in the middle of the marketplace. The city Lalitpur is full of Buddhist monuments and Hindu temples with fine bronze gateways, guardian deities, and wonderful carvings. Everybody can say that Lalitpur is the city of artists after visiting the Patan Durbar Square. The city is believed to have been built during the reign of Vira Dev in A. D. 299. The Bodhanath Stupa, just outside of Kathmandu, is one of the largest stupas of its kind in the world, and dates to sometime around the 6th century, possibly even earlier. Like Bhaktapur, it lies on the old trade route to Tibet and is a UNESCO World Heritage Site. The stupa itself is a symbol of enlightenment but at Boudhanath the symbolism is particularly clear. Each different shape represents one of the five elements, earth, water, fire, air, and sphere, which are also the attributes of the five Buddhas. Brought together in the form of the stupa, their unity reflects in abstract fashion the structure of the universe itself. Gorkha, The origion of of Modern Nepla lies in western part of Nepal. Famous Gorakhnath, Manakamana, Gorkha Kalika, Gorkha Durbar are main attraction of Gorkha.One who want to explore the history of modern Nepal most visit to Nepal as well from the top hill of Gorkha Bazar, you can see the beautiful view of Mt Manaslu, Himalchuli, Lamjung Himal, Siringi, Lakpa Dorjee, Ganesh, Annapurna and other more Peaks. The reunification of modern Nepal was started from Gorkha in Shah dynesty. The Tsum Valley Trekking region is still less exposed in comparison to other tourist areas, with relatively virgin and less beaten paths in comparison to the more popular regions. The Tsum Valley people have their own Culture which is totally different then other parts of Nepali life, which may be quite surprising for many outsiders. All the brothers in the family are married to a single girl, what you may call a practice of polyandry. Compared with other areas, The Tsum Valley and Manaslu area is full of imminent mountains, passes, deep gorges, hamlets, gompas, chortens, Stupas and mani walls. The trek to Tsum Valley and Manaslu takes you into the majestic surroundings of the Ganesh Himal, Sringi Himal, and Boudha Himal ranges. In the initial days of the trek, you explore the Budhi Gandaki Valley through a mix of dense forest, terraced fields and hill villages. As you leave the main Manaslu Trail for the Tsum valley, suddenly you get a feeling of entering truly into the hidden valley. While on the trek, you also pass through the alpine forests, glacial rivers, and enjoy the warm hospitality of ethnic people. you also visit the ancient Buddhist Gombas of the region including the Milarepa's Cave, Rachen gompa, Mu Gompa among others. Tsum Valley Trekking region is also famous for its old monasteries. Mu Gumpa,the oldest monastery in the region falls in Chhekampar VDC and was built in 1895. The famous Rachhen Gumpa with the largest population of resident monks and nuns in the region lies in same VDC. There is is a stone near the monastery that is believed to bear Milarepa’s footprint. By population, it is the second largest town in Nepal after Kathmandu but still does not feel like a big city. People coming from the Kathmandu Valley notice the much cleaner air and pleasant climate almost immediately. Lake Phewa, with its cluster of lakeside hotels, restaurants, and shops, is ideal for those looking for relaxation and for day excursions. 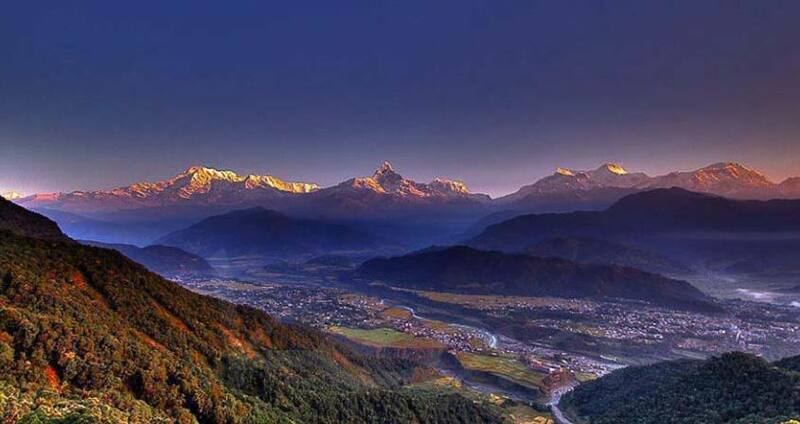 Pokhara is one of the most scenic and exciting valleys in Nepal. Pokhara valley is the ‘Jewel of the mid-west’, second major tourist sport in Nepal but the favorite of tourists from around the globe. The Barahi temple is the most important monument in Pokhara, built almost in the center of Phewa Lake. Phewa Lake is the second largest lake in the Kingdom, the center of all attraction in Pokhara. Devi’s Fall is locally known as the Patale Chhango (Hell’s Fall). Devi’s Fall (also known as Devin’s and David’s) is a lovely waterfall lying about two km southwest of the Pokhara airport on the Siddhartha Highway. The Annapurna Region is one of the most popular trekking regions in Nepal, with trekking options of a few days to a few weeks. There are three main routes in the Annapurna Region, which intersect and combine in places, but trekkers can opt to do a portion or a variation on the routes. The Annapurna Circuit around Annapurna Mountain takes about 21 days to complete and is incredibly popular with people who have enough time. This route is sometimes called the "Apple Pie Circuit," in reference to the fact that most of the teahouses along the route serve their own version of fried apple pie. The Annapurna Sanctuary nestles between the peaks of Annapurna and takes five days to reach. Muktinath is on the way to Annapurna but has since become a destination in its own right. The Muktinath route runs in the Kali Gandaki Valley on the east flank of Annapurna and takes seven days. North of Muktinath is Mustang, a small region that was only opened up to tourists in 1992. This area is unspoilt and has its own fascinating culture. In many regards, the Annapurna Region, north of Pokhara, is an ideal walking area. The dramatic contrasts of the Nepalese countryside are especially visible, from the subtropical vegetation of the Pokhara Valley to the dry rain shadow area, with features of the Tibetan plateau. The people and cultures are also very different: facial characteristics, houses, lifestyles, customs, and religion. The Annapurna region was declared a protected area in 1986. The region has a good infrastructure to support the many trekkers that come through this area. The paths are well maintained, and food and lodging are guaranteed. Chitwan lies southwest of Kathmandu close to the Indian frontier and is included in the UNESCO list of world cultural heritage sites. The best time to visit Chitwan is from October to February. Average temperatures hover about 25°C (77°F), with high humidity, although the mornings can be quite cool. June to September is the monsoon season, with frequent and heavy rain. The Langtang Region, home to Langtang National Park, is an incredible area for hiking, with some high passes, extensive views, old monasteries, and beautiful mountain scenery with rhododendron forests that bloom during the spring hiking season. It is less developed than some of the other popular trekking areas in Nepal and generally less busy on the trails, despite its close proximity to Kathmandu. There are villages with guesthouses and food all along the route, although somewhat more spread out than in other trekking regions. This area can be reached easily from Kathmandu by jeep in seven to eight hours, making it extremely convenient, with no flights required. On a clear day, the peak of Langtang Lirung (7,245 meters), which dominates the surrounding area of the same name, is visible from Kathmandu. Trekking lengths and duration range from a few days to a couple of weeks depending on the routing. Some trekkers combine Helambu and Langtang for a longer trek. Set on a hilltop to the west of Kathmandu, Swayambhunath is the second most important shrine in the Kathmandu Valley after Boudhanath. Due to the resident monkeys that inhabit parts of the temple, it is more affectionately known as the Monkey Temple. The Swayambhu Stupa, painted with the eyes of the omnipresent god, forms the centerpiece of the temple complex. It was originally a prehistoric cult site, but the temple complex dates to the 5th century. Swayambhu plays a major part in the lives of the Vajrayana Buddhists of Northern Nepal and Tibet, but especially of the Newari Buddhists of the Kathmandu Valley. The 2015 earthquake caused some damage to the Swayambhunath temple complex. The summit of Mount Everest, the highest mountain on earth, reaches 8,848 meters (29,028 feet) high. Trekking in the Mount Everest area became popular following the now legendary first ascent of the peak in 1953 by Edmund Hillary from New Zealand and the Sherpa Tensing Norgay. Since that time, many more have summited the mountain, but far more trek the route to Everest Base Camp simply for a glimpse of the peak far above. In recent years the mountain has seen its fair share of tragedy and drama. The 2015 earthquake and previous avalanches, along with disputes between climbers on the mountain, have left their mark on Everest trekking and climbing. The Everest Region is generally not regarded as the most scenic region in the country for trekking, but the allure of Everest draws climbers in large numbers. There are various routes to access base camp and several options for organizing a trip. Many trekking companies offer a guided hike, either with Nepalese companies or western-based companies. It's also possible to hire a private guide or porter and do it yourself, however all trekkers are technically required to have a guide. The main hiking seasons are in the spring and fall, from March to May and September to December. For those not looking to trek to Mount Everest but still wanting to see the mountain, it is possible to see it on clear days from the hill town of Nagarkot near Kathmandu. Hotel staff will knock on guests' doors on clear mornings if Everest is visible. This might be the lazy traveler's best chance of seeing the world's highest peak. Lumbini is famous for being the birthplace of Siddhartha Gautama, the historic Buddha, known as Buddha Shakyamuni. Situated off the main tourist track, almost 250 kilometers from Kathmandu, Lumbini is a worthwhile detour on the route from Pokhara to the Chitwan National Park. In this pilgrimage town, a UNESCO World Heritage Site, there is a feeling of tranquility. Most of the visitors are Buddhist pilgrims from around the world, retracing Buddha's footsteps through the stations of his life. The Maya Devi Temple, dedicated to Buddha's mother, is believed to be the spot where Buddha was born. It contains an ancient stone relief from the 2nd century AD depicting Buddha's birth. The Helambu region is a popular trekking area, particularly with trekking companies offering guided hikes. This is largely because it is close to Kathmandu, does not reach astoundingly high elevations, and offers some beautiful mountain scenery. For many of these same reasons, it is often touted by tour groups as being easy. However, many hikers who come here on tours find it is more demanding than they feel they were led to believe and more difficult than they anticipate. Trekking in the Himalayas is always demanding, and although it is not as high as other treks, it is still a physically demanding hike and trekkers should be in good physical condition. With that in mind, this is a beautiful trek and well worth the effort. The Helambu region is inhabited by the Sherpas and situated in the upper part of the Malechmi Khola valley. The Helambu Trek can be started in Kathmandu and completed in five to eight days. The typical seven-day itinerary is circular, with the first day's section being repeated at the end of the walk. The sudden contrast between the lower and upper lying regions and their characteristic cultures is striking. Accommodation can be found in lodges and village guest houses. Janakpur is the ancient historical, religious, archeological and Cultural city of Janakpur.Janakpur is the founding city and land of very popular Mithila Art, Language, Culture and Trdition of Nepal, which is very rich. The city of Janakpur, 135 kilometers (84 miles) southeast of Kathmandu is doubly famous as the birthplace of the Hindu goddess Sita, as well as being the site where she was married to Lord Rama. According to the Hindu epic, the Ramayana, the original city of Janakpur was named after King Janak of the Mithila kingdom. Janak found the baby Sita in a furrow of a field and raised her as his daughter. When Sita (also called Janaki) was about sixteen, the king announced that she could be married by whoever was able to string the divine bow of Shiva. Though many royal suitors tried, only Lord Rama, the prince of Ayodhya, was successful. And not only did he string the bow, he also snapped it in two. Thus, Lord Rama won the hand of Sita. Historical sources indicate that the Mithila Kingdom controlled a large part of northern India between the tenth and third centuries BC when it came under the control of the Mauryan Empire (321 to 185 BC). The two great Mauryan emperors, Chandragupta and Ashoka, favored the religions of Jainism and Buddhism, and both the great saints Gautama Buddha, founder of Buddhism, and Vardamana Mahavira, the 24th and final Tirthankara (an enlightened sage) of the Jain religion, are said to have lived in Mithila/Janakpur. Following the decline of the Mauryan Empire, Janakpur languished as a religious site for two millennia until the seventeenth century. In 1657, the great saint and poet Sannyasi Shurkishordas discovered a golden statue of the Goddess Sita at the exact place where she was born, which ultimately became the location of the current Janaki Mandir, the Temple of Sita. Shurkishordas is considered to be the founder of modern Janakpur. Queen Brisabhanu Kunwari of Tikamgarh built the Janaki Mandir in 1911. The temple is architecturally unique in Nepal. Its inner sanctum contains a flower-bedecked statue of Sita that was apparently miraculously found in the Saryu River near Ayodhya. Statues of Rama and his half-brothers Lakshman, Bharat and Satrughna stand by Sita. Early evenings are the best times to visit, for then the temple is lit with colorful lights and filled with hundreds of pilgrims expressing devotion for Sita and Rama. The temple is particularly popular with women, who wear their best clothes when visiting the shrine. Adjacent to the Janaki Mandir is the Rama Sita Bibaha Mandir, a building that marks the place where Rama and Sita were married. Tens of thousands of pilgrims visit Janakpur to pay homage to Sita at the time of Vivah Panchami, the marriage day of Sita and Ram (the fifth day of the Shukla Paksha or waxing phase of moon in November/December) and on Ram Navami, the birthday of Lord Rama (the ninth day of the Hindu month of Chaitra, which begins with the new moon in March/April). Additional periods for large celebrations in Janakpur are Holi, the festival of colors in March; Diwali, the festival of lights in early November; and Chhath, a four-day festival celebrated by the local Mithila people in May and November. Other important religious sites in the city include the Danush Sagar and Ganga Sagar ritual bathing tanks near the Janaki Mandir, and the winding streets surrounding the temple are filled with shops selling garlands of colorful flowers, pictures of various Hindu deities, and ritual objects for prayers. Near Janakpur lies the ancient place of Dhanushadham, another important religious site for the Hindus. The Dhanusha pond is believed to have been made by the pieces of arrow broken by the Rama in Janakpur. Antu Danda is one of the famous places to visit in Nepal. Antu Danda is the first place in Nepal where first light of the sun appears. Sightseeing Sunrise and sunset from Antu Danda is better kinds of beautifully and naturally than tiger hill of Darjeeling. There is more probability of Antu Danda to be good and famous tourist place in Nepal. 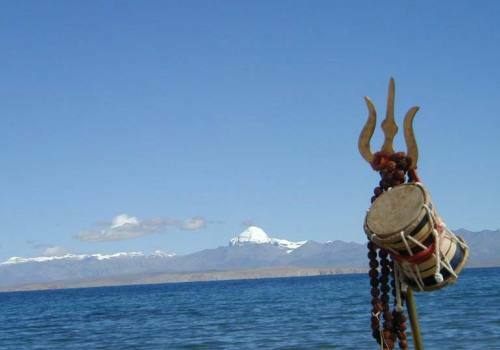 It is located in the south part of Mahabharat Himalayan Range. The main feature of Antu Danda is the viewer of sunrise can feel two suns are rising in different size. Sunrise from Antu Danda is different from Tiger Hill of Darjeeling. Bardia national park is one of the famous places to visit in Nepal. Bardia National Park is the largest national park and most undisturbed wilderness area in the Terai, in the lowland or Inner Terai region of in the mid-Far Western Terai, east of the Karnali River. Bardia National Park was established in 2032 B.S. (1975 AD.) to protect representative ecosystems and conserve tiger and its prey species located in Western Terai Thakuradwara, Bardia, Nepal. This park is observed as the fully protected forest area. It is also treated as the park of rare wild animals. Most of the area of this park is covered with salla forest and grassland. The vegetation found in this park ahs made it attractive and beautiful. Dhorpatan Hunting Reserve is one of the famous places to visit in Nepal. The Dhorpatan Hunting Reserve is the only one hunting reserve area of Nepal where licensed hunting is permitted. This reserve is stretched through Rukum, Myagdi and Baglung district just below the Dhaulagiri Range in the west Nepal. It ranges from 2,850 to 5,500 meter or 9,350 to 18,000 ft. in altitudes. It is established with the view of encouraging the Nepalese and foreign hunters. It seems that such division has made the management of hunting easy and effective. About 50 percent of the total protected area of this reserve is pasturelands at a higher elevation. The best time or season to visit this reserve is from September to May. This Tour Itinerray will be available only with your confirm email request.